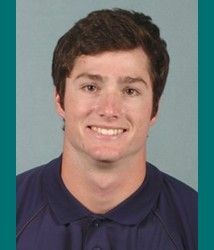 While UNC Wilmington’s baseball team failed to live up to their expectations last year amid a year where they failed to secure their third straight NCAA Regional bid, there were notable bright spots throughout the season that has kept that same high-end mindset present. Two of those bright spots came in the form of freshmen Casey Golden and Robbie Thorburn. Both outfielders entered their debut seasons unsure of what their roles would be on the team, but quickly found themselves in the thick of the Seahawk lineup, as each ended up starting almost all of UNCW’s contests. Thorburn started in 46 of the 53 games he played in, scoring 21 runs while also driving in another 21, and tying for the team-lead in stolen bases with Golden at nine. Golden, meanwhile, had one of the more productive rookie seasons in recent memory for the Seahawks on his way to being named a Louisville Slugger Freshman All-American, UNCW’s ninth in program history. The Siler City, N.C., native started 53 games while finishing with a team-leading 35 runs. Golden batted in the leadoff spot in 45 games, leading the team with 223 at-bats with his 29 RBIs ranking third on the team. Now with a full season under their belt, both players hope they can contribute more wins to a team looking to rebound after a down year. The Seahawks open their season this weekend as they host the Buffalo Wild Wings Battle at the Beach. The team plays Richmond at 4 p.m. on Friday, and Ball State at 4 p.m. on Saturday, before rounding out the weekend against Kentucky at 1:30 p.m. on Sunday. Thorburn faces an extra challenge this season of transitioning from playing outfield last year to infield this season. The sophomore played both positions throughout high school, but admits it took him some time during the fall to get reacclimated to the infield. Golden earned another chance to hone his craft in being invited to tryouts with the Team USA Collegiate National Team last summer. Golden was one of 29 collegiate baseball players from across the country that opened training camp with Team USA this past summer. While he didn’t make the final roster, the opportunity to participate in drills with the squad proved to be an invaluable experience for the sophomore. With this year’s team only featuring three seniors, Thorburn and Golden both face high personal expectations as the Seahawks will look to replace 11 seniors from last season. Given their early successes, however, both are ready to capitalize on the groundwork they laid their freshman campaigns. “It’s awesome,” Thorburn said. “We’re getting some good butterflies, getting nervous, but we’re all ready for the season to start. Hopefully we can hit the ground running and get things ready to go.